Seeing red will be a good thing when you're looking at this beautiful three stone ring from Apples of Gold. A richly colored garnet gemstone keeps your attention, measuring 4mm and with a beautiful round cut style. 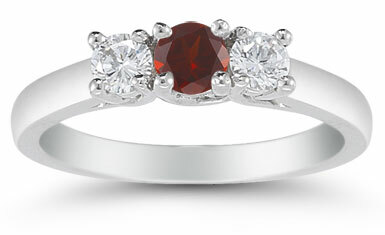 Diamonds pull double duty in this ring, resting on each side of the garnet. Each white diamond measures 0.15 carats to give that exquisite shimmer effect, while the white gold band provides an elegant foundation for the ring and a solid setting to hold the stones in place. 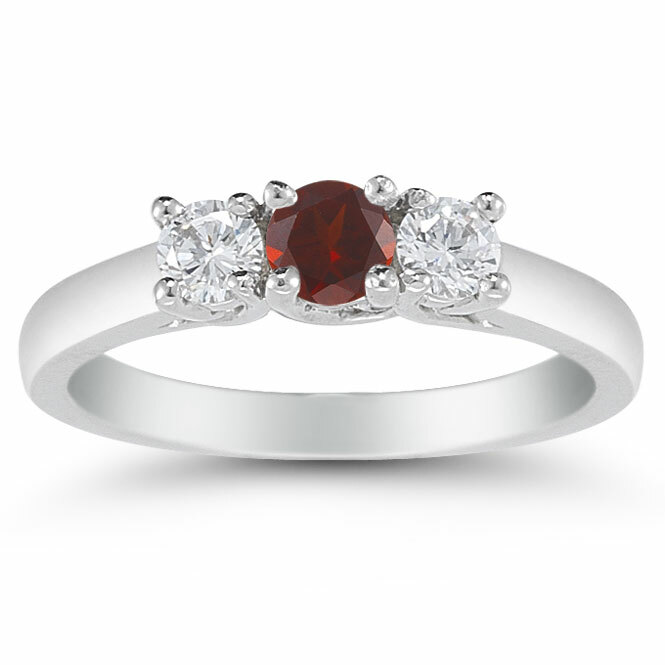 We guarantee our Three Stone Garnet and Diamond Ring, 14K White Gold to be high quality, authentic jewelry, as described above.